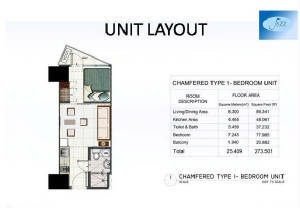 Tower 1 few units left! Tower 2 will launch this February,2010! 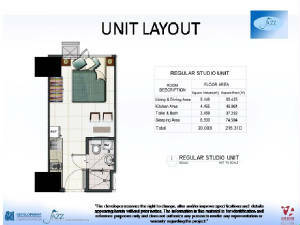 Own a Makati Condo "FULLY FURNISHED" with 20% Downayment at 3 yrs straight @ 0% interest. 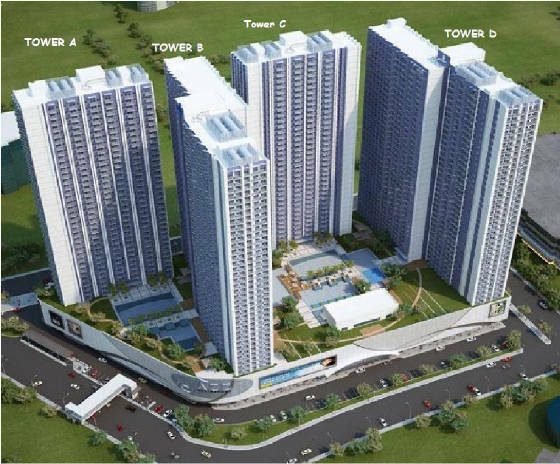 We will give our buyers a Deferred Privilege Reservation to avail of its Pre-Launching Price. When you live this high above Makati, everyday worries simply melt away. 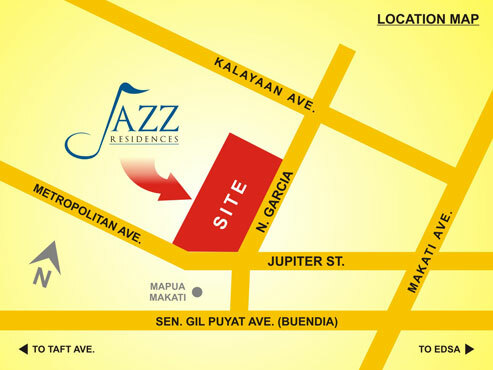 Jazz Residences aka Jupiter Residences in Jupiter Street cor Nicanor Garcia (Reposo St) has 4 towers with 4-level podium. 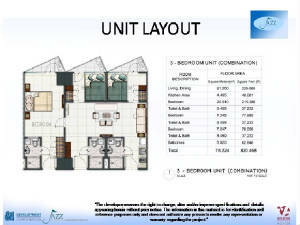 Ground floor will be full lifestyle commercial area. 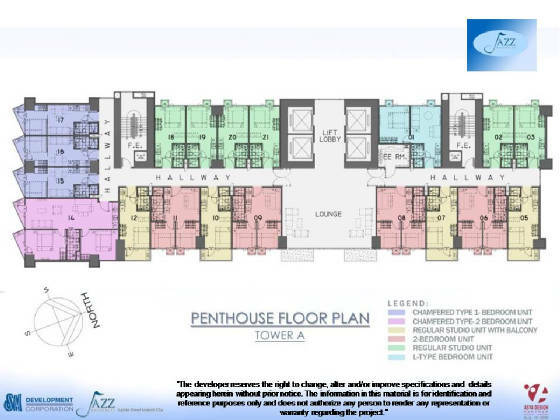 2nd floor will be half commercial and half-BPO office. while 4th will be parking exclusive for residents. Amenities in the 5th floor. 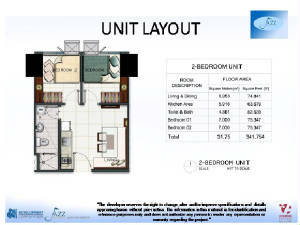 All Units will be delivered fully-furnished or finished. 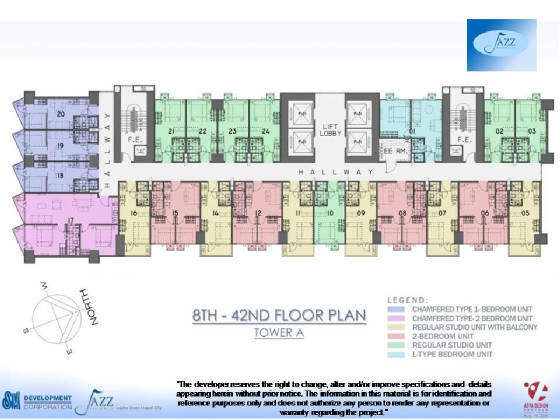 From the 2nd floor, there will be a bridgeway going to Salcedo Village, directly crossing Buendia. Road widening of Reposo St. most likely. 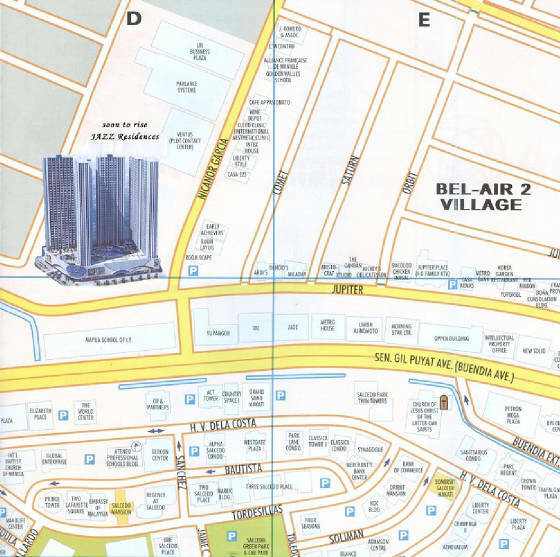 Jazz Residences will be the last hi-rise project in Bel-Air Village. It is envisioned to compete with Rockwell Strip. 4 towers of 40-storey each. 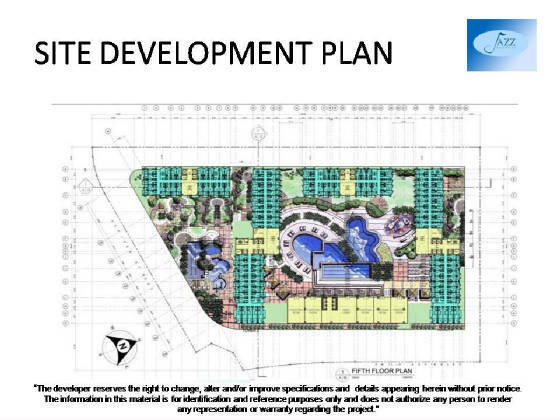 Entire podium delivery in 18 months; bridgeway in 12months. an indicative price of per sqm.